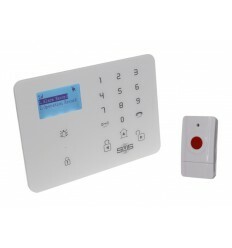 Compact & Affordable single dwelling 3G GSM Audio Intercom allows authorised persons to communicate with visitors from anywhere in the world and being able to release a locked Gate, Door or Lock. 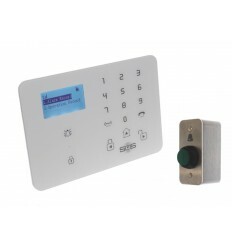 A Compact & Affordable single dwelling 3G GSM Audio Intercom allows authorised persons (up to five) to communicate with visitors who press the Call Button (from anywhere in the world) together with being able to operate a locked Gate, Door or Lock. 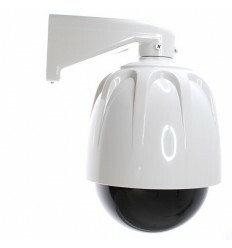 It also allows up to 200 users to operate the Gate, Door or Lock by sending the system a SMS or calling it by Phone. 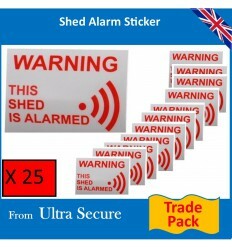 5 Authorised Users to communicate with Visitors & ability to operate the Gates, Door or Lock. Receiving Phone can cancel Call (by pressing * or 0 - 9 on the keypad). 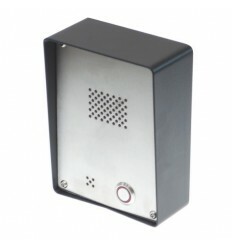 Up to 200 Authorised Users can operate the Intercom via SMS & Phone. 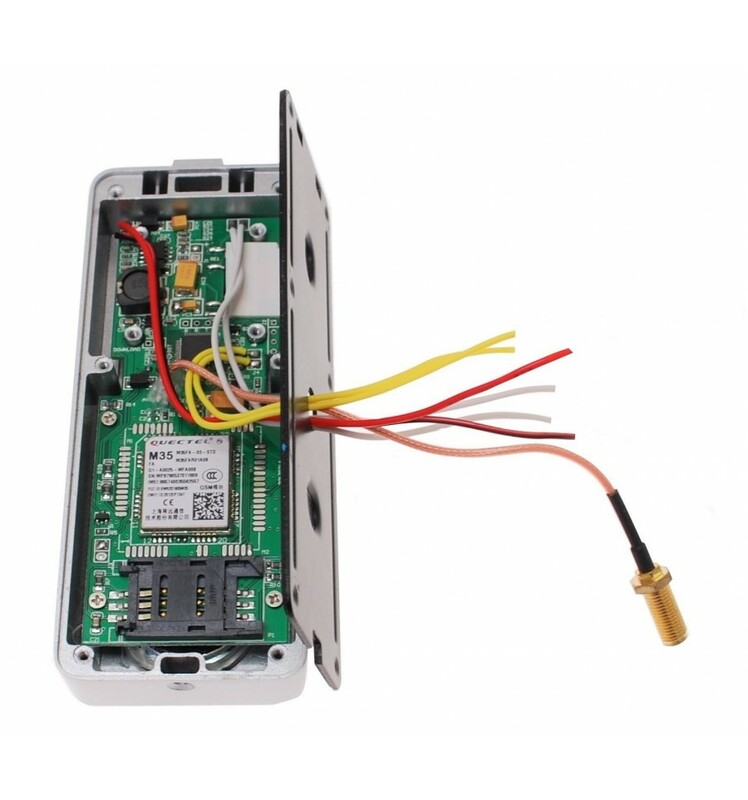 N/O or N/C Output Relay (for connecting to Electric Gates, Doors or Locks). Adjustable Duration on the Output Relay. Adjustable Call Time (before the Intercom calls next user). 9 - 24v DC Input. Flexible Programming by SMS Control. Optional Status Report (on demand by sending SMS or Automatic). 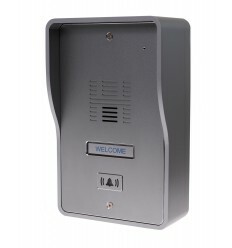 The Intercom is powered by 9 - 24v DC which is not supplied as standard as this supply is often taken from the Electric Gate or Door circuits (transformer available upon request). 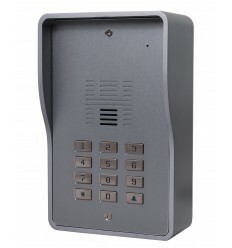 When a Visitor presses the Call Button, the Intercom will call the first programmed Telephone Number, this person can then open up clear two-way communication with the Caller, and have the option to release the Output Relay which is normally connected to an Electric Gate, Door or Lock by simply pressing # on their Phone, after this they can press * or 0 - 9 digit on their Phone to end the Call. If the first person does not answer their phone or doesn't end the Call, the Intercom can be programmed to call four further key-holders in order of 2 to 5 (this function can be turned OFF). 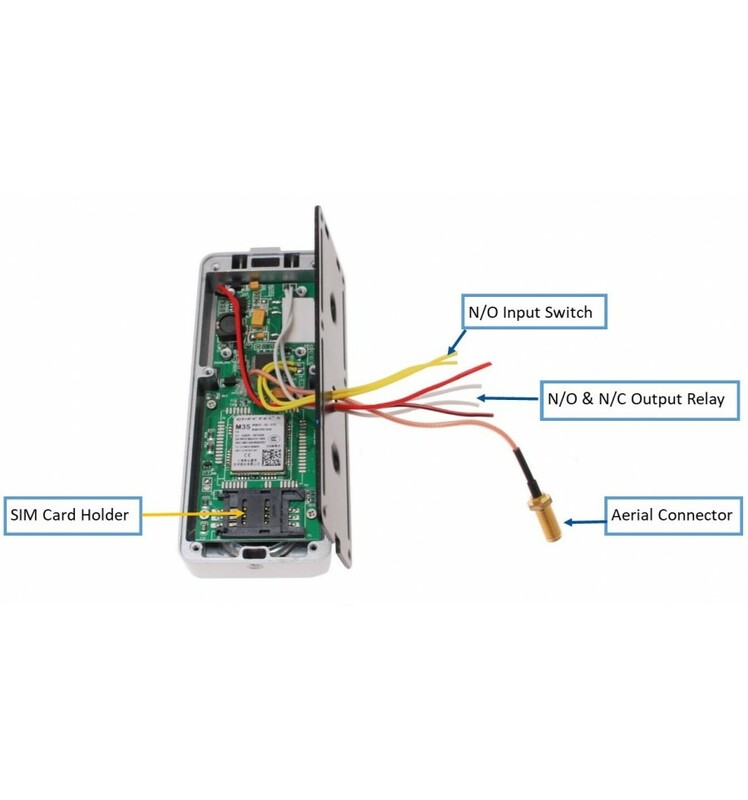 The Intercom operates using 3G Mobile Phone technology (SIM Card) therefore a mobile phone signal is required at the location of the Intercom, the Intercom uses a standard size SIM Card (not supplied), but a Roaming SIM Card can be added in the shopping cart. 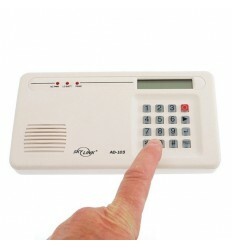 The Intercom is programmed by sending a series of SMS to the SIM Card Number (inserted in the device). 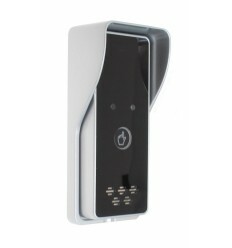 The Intercom is supplied with an external aerial with a magnetic base and 3 metres of cable which is connected using the screw in connectors. 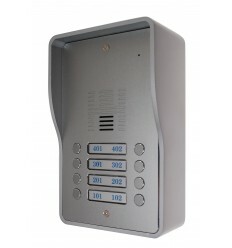 1 x KP6 3G GSM Audio Intercom. 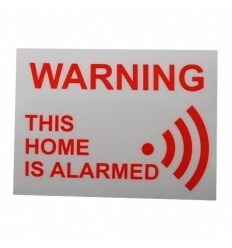 1 x Magnetic Base Aerial & 3 metres of Cable. Communication: SIM Card (standard size). Calling Numbers Possible: 5 (optional first 5 numbers will be called upon visitor pressing Button). 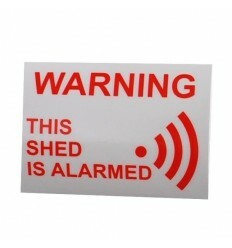 Size: 134 (H) x 60 (W) x 40 (D). 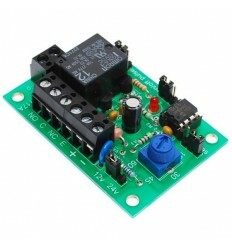 Output Relay: Yes (N/O or N/C). Adjustable Relay Output Time: Yes (0 - 999 seconds). Authorised Numbers to operate Relay Output by SMS: Yes. Authorised Numbers to operate Relay Output by Telephone: Yes. 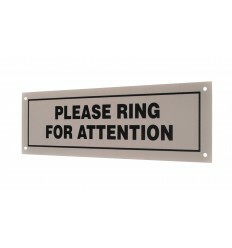 Receiving Telephone to operate Relay Output: Yes (press # on phone). Receiving Telephone to have 2-way Communication with Visitor: Yes. Receiving Telephone to end Call: Yes (press * or 0 - 9 key). Status Report: Yes (by sending SMS). Operating Report: Yes (optional SMS when the Gate, Door or Locked is operated). Automatic Status Report: Yes (optional 0 - 999 Hours). Aerial Supplied: Yes (3 metres of Cable with screw connector). 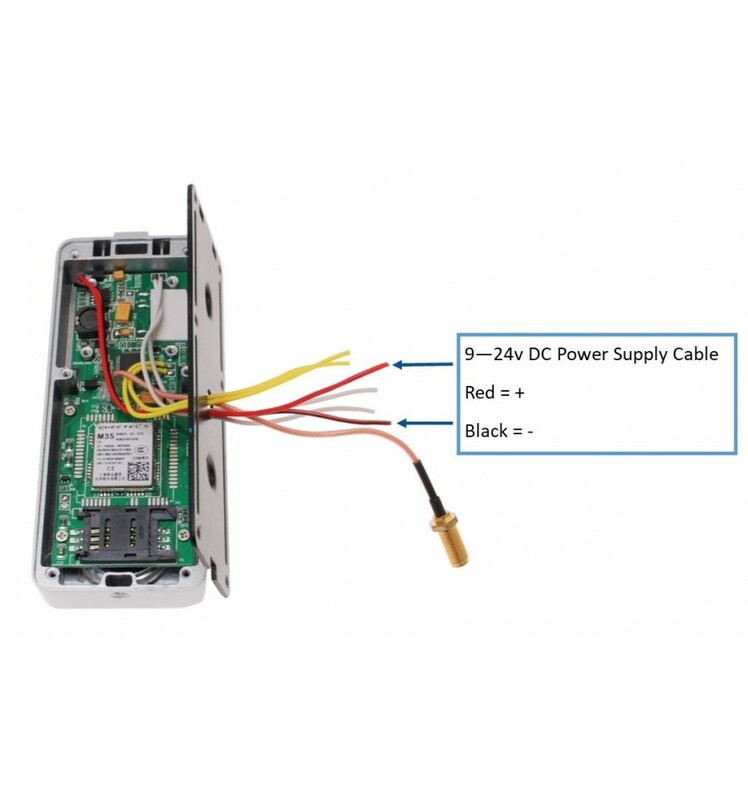 Power Supply Required: 9 - 24v DC (not supplied as standard).